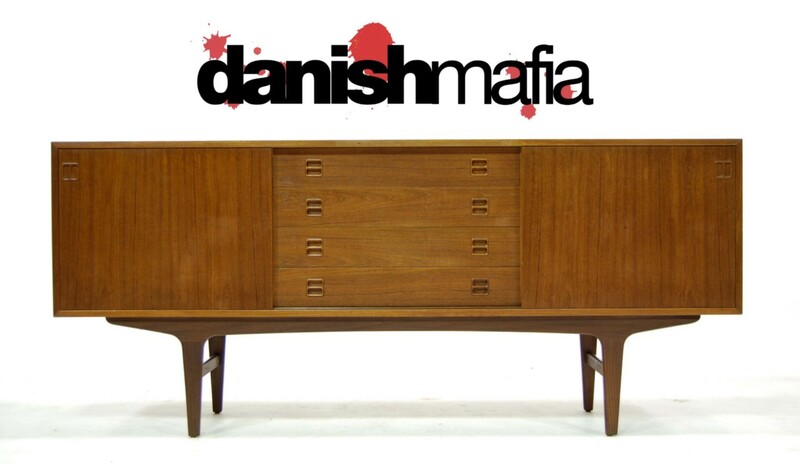 Offering this beautiful Teak Mid Century Danish Modern Credenza or Sideboard. 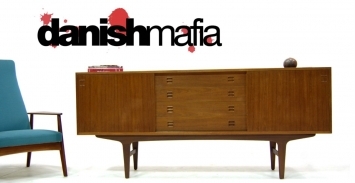 This piece is perfect for your flat screen Television or in your Mid Century Modern Dining Area. 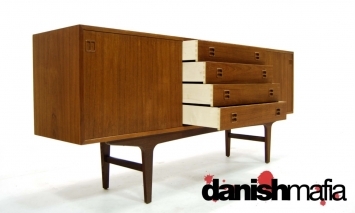 The rich Teak coloring and wood grain are very nice on this piece. 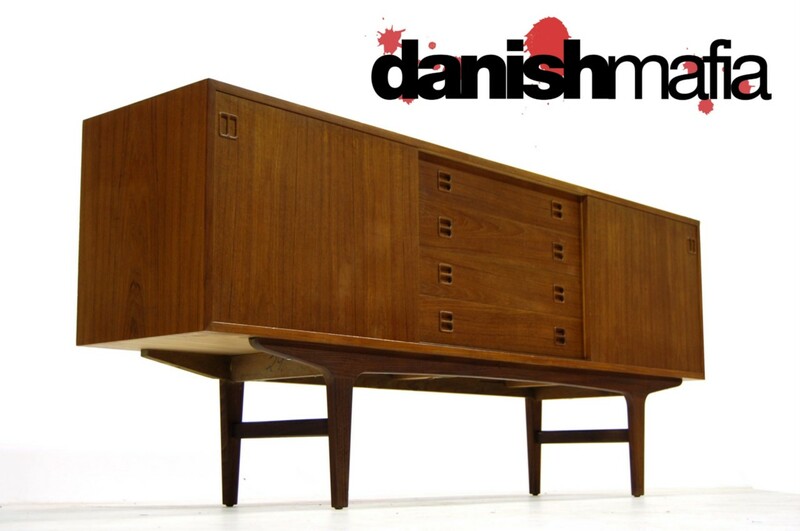 We attribute the design to Arne Vodder. Notice the sculpted Teak drawer and Door pulls, so indicative of Vodder designs. 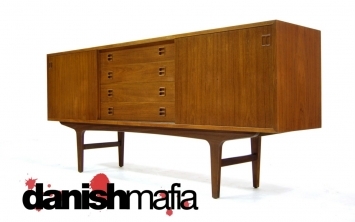 This Credenza features sliding doors with plenty of interior storage for your media componets or your fine china & silverware. 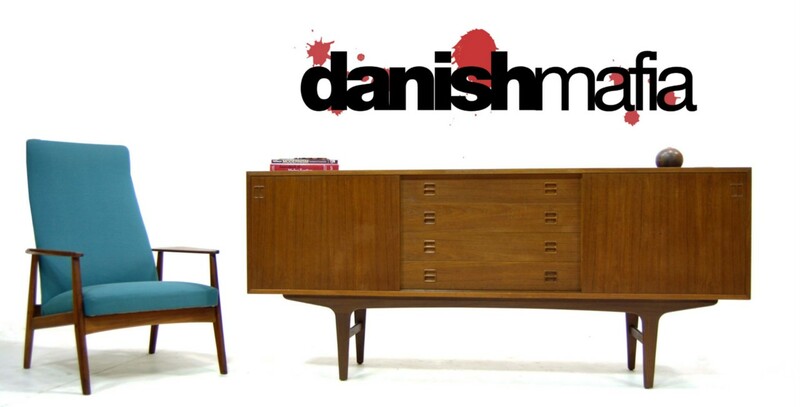 Tons of interior space with adjustable/removable shelving. 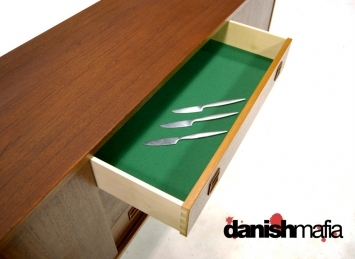 The Center section has a series of drawers with the top one being felt lined. 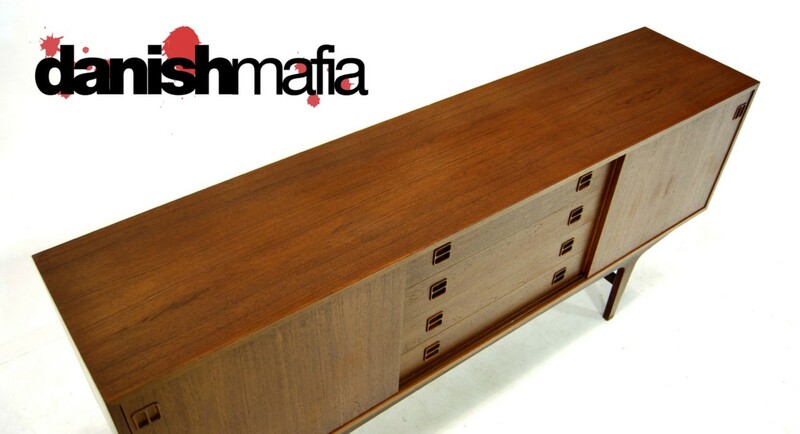 Sitting atop 4 sculpted Teak legs gives this piece the Modern floating look that is so sought after. Don’t miss your chance, this is a Great Danish piece. 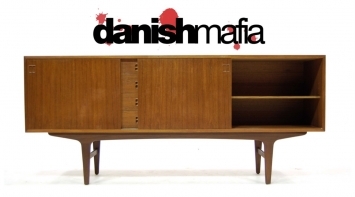 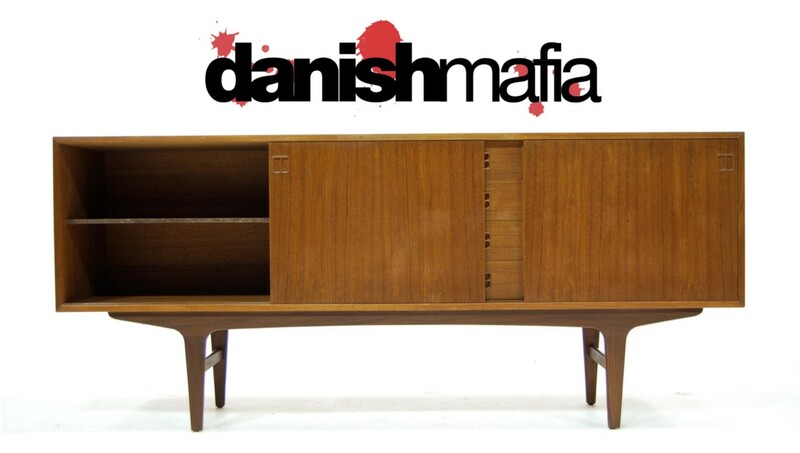 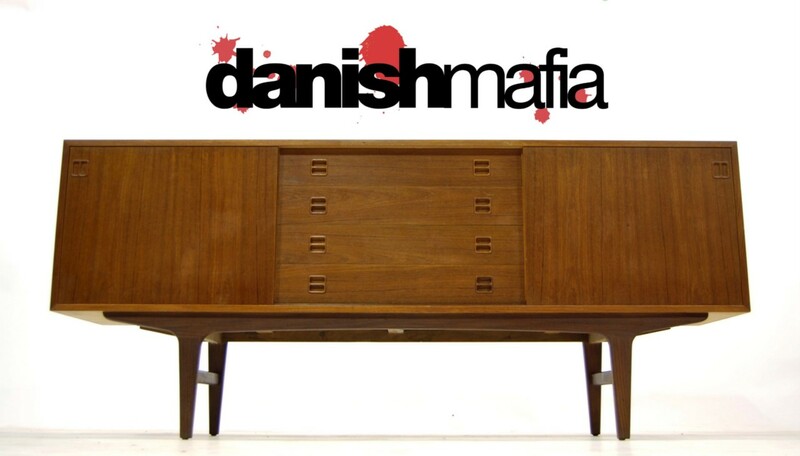 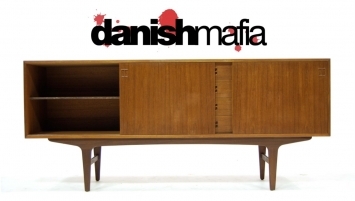 We have other Danish Credenza’s available on our website. 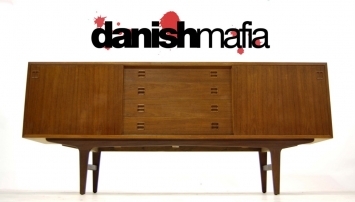 Check it out, everything is ON SALE !! Overall condition is Excellent, vintage condition !! 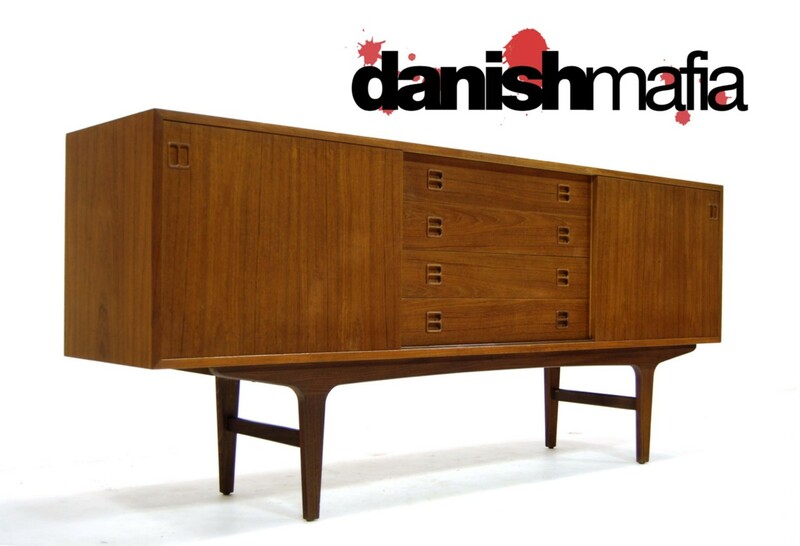 Overall this piece is very clean. There are a few small scattered marks near the bottom and on the side as pictured, but nothing that takes away from the beauty or value of this piece. One of the interior shelves has been replaced by us and is not original, however this does not effect functionality in anyway. Contact us for detailed photos for condition as we always try to show the worst of any age related wear. 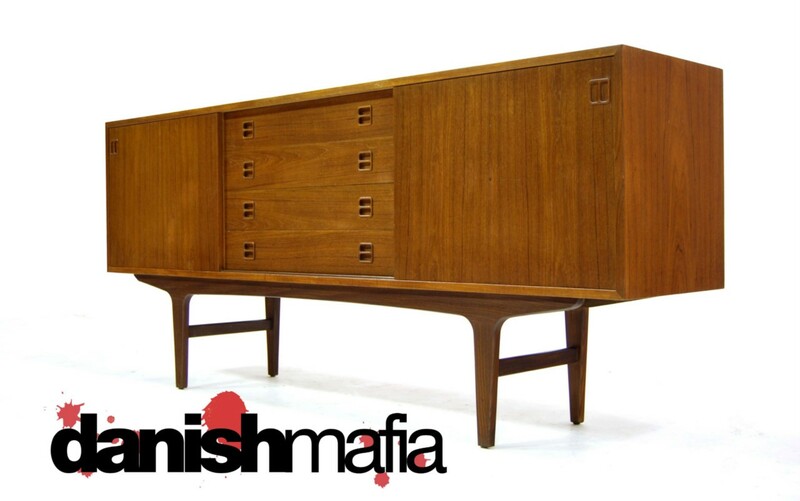 #1- We can have this piece Custom Pro Packed and Shipped right to your home via trucking service for approx. $285 or less. Please contact us with your zip code for details and an exact price prior to bidding.